Have you ever come across something on Pinterest that would be great, but you needed to keep it a secret from someone that may happen to come across it if you pin it? I have! When it comes to birthday surprises, or bridal/baby showers there are pins I love but want to keep them hidden from the guest of honour. 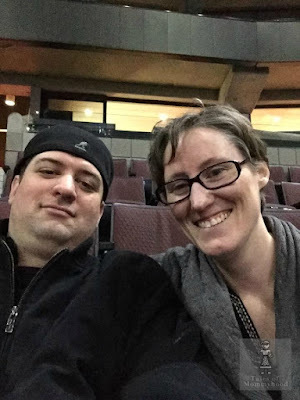 Pinterest has an easy way to do that - a secret board! Want to set one up? You will see a box that says "Create Secret Board"
Pin away all those things you want to keep for yourself! 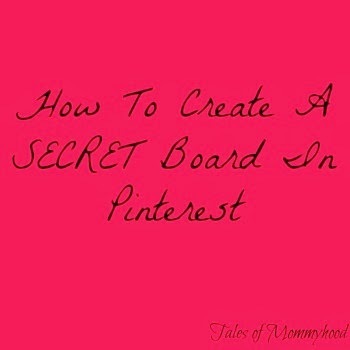 Have you ever created a secret board? Will you now that you know about it? I love pinterest and I got so excited when secret boards came out! I like to post ideas and stuff, like 50 million bedspreads, that I know other people aren't going to care to see so secret boards are great!! Yes, I started one of these boards but hardly ever use it! I didn't know that you could do this! Thanks for the tips! I had vaguely heard about secret boards but didn't know how to do it. |Thanks for the explanation.